Show jumping is an equestrian tradition beloved the world over. 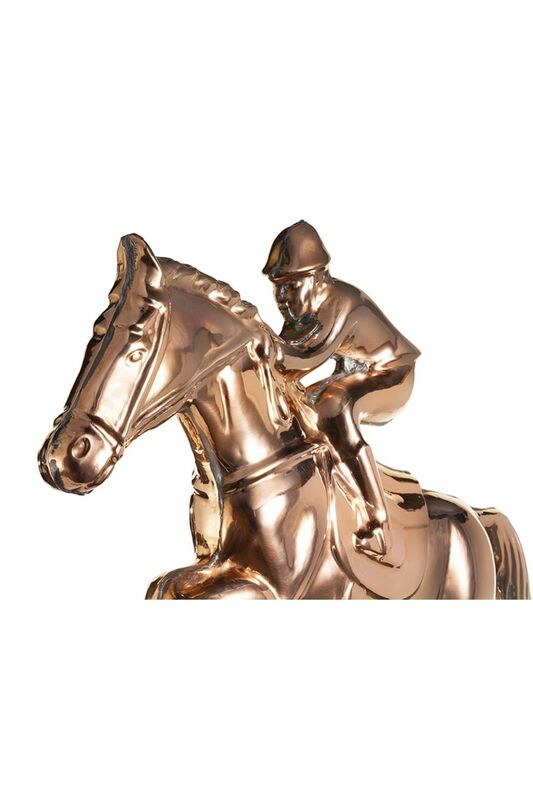 Featured as an Olympic event for a century, the horse and rider have a pedigree that simply can't be denied. 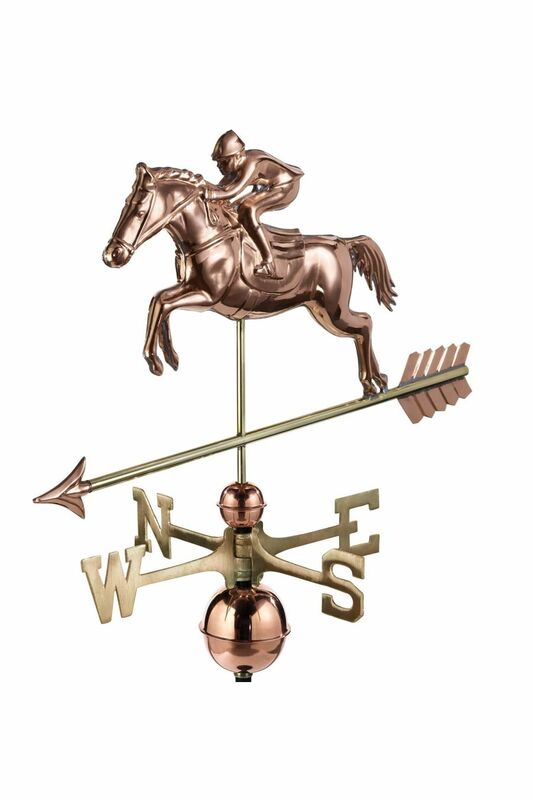 Now you can capture the majesty of this inseparable pair as they gallantly leap to adorn the rooftop of your home, garage, cupola, barn or gazebo. 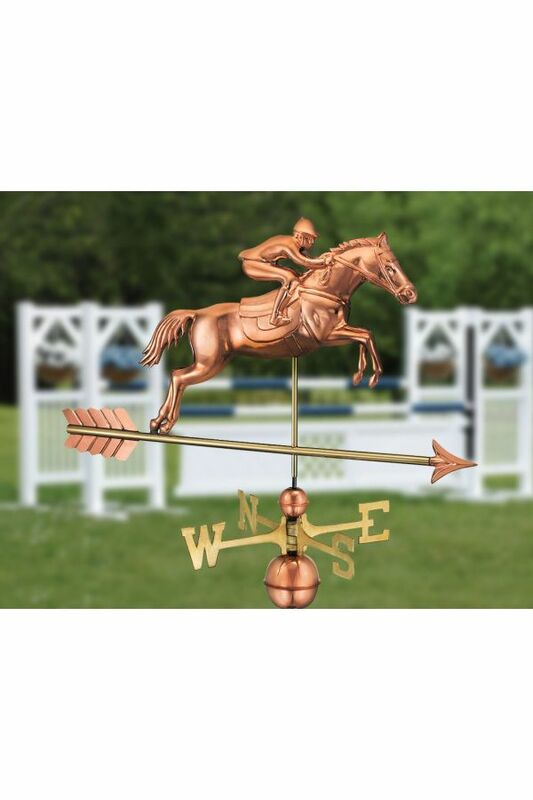 - 33"L x 18"H x 2" W (Measurements are for Figure only) - This beautiful Weather Vane is available in polished Copper - Weather Vane includes Copper spacer Balls, Brass Directionals and a black powder coated Steel Rod - Measurements shown are for figure only - Add an additional 32" to the overall height to accommodate the spacer Balls, Directionals and Rod - This is a perfect finishing touch for one of our beautiful Cupolas for years of maintenance-free enjoyment or can be mounted separately - Mounting options are sold separately - Includes easy to install instructions and has a 1 year limited manufacturer's warranty.